Discussion in 'Unlisted Vendors' started by Shenzhen XTAR, Sep 16, 2018. 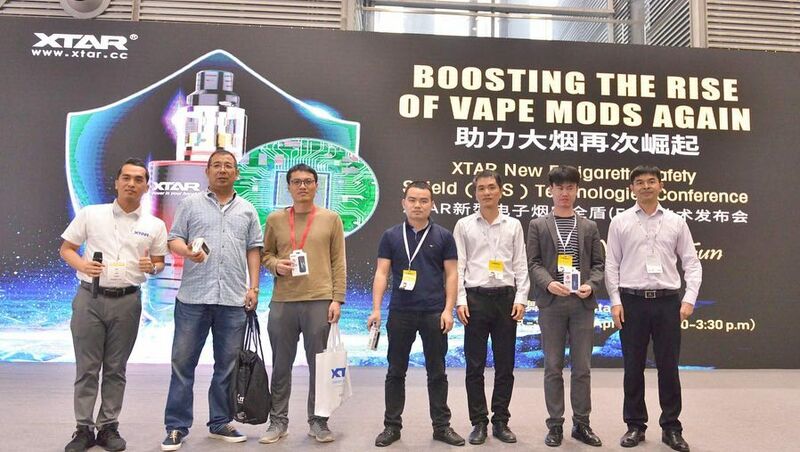 On September 7-9, the 1st Korea international vape exhibition was held in Hall 3, KINTEX,Gaoyang, Korea. 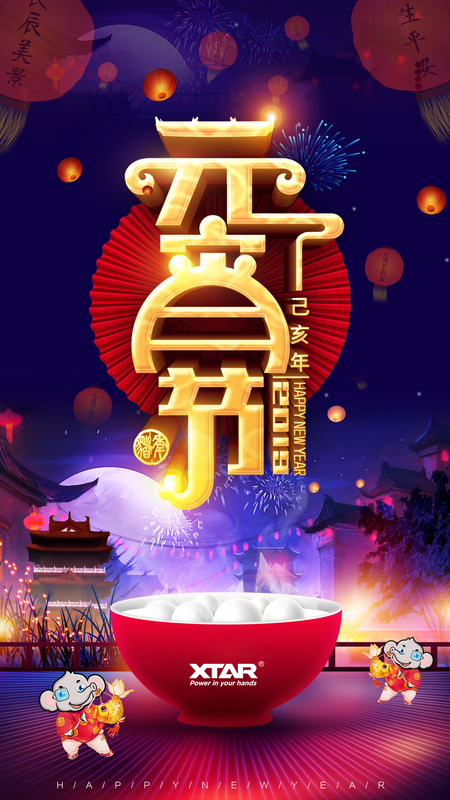 The Mid-Autumn Festival is the second grandest festival in China after the Chinese New Year. It takes its name from the fact that it is always celebrated in the middle of the autumn season. The day is also known as the Moon Festival, as at that time of the year the moon is at its roundest and brightest. 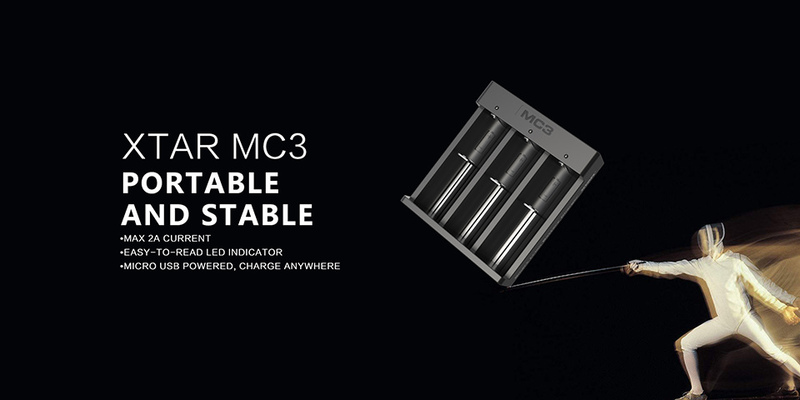 XTAR MC3 Portable and Stable. Some people asked me what do your chargers capable of? What makes it so DIFFERENT? What's more, we charge the batteries really SAFE & FAST. Giving you a higher level of experience in waking up your batteries. Let's plug and play fellas!! Hi fellas, Christmas is around the corner. I am sure you guys must want to see what XTAR Santa Claus brings you this year lol. Check the video to find out if YOU are the lucky man. 1. Open the box, see the gift card written with "Congrats XTAR 2019"
2. Check the Anti-counterfeit No. behind the package. "XXXXX 2019"
3. Check the Anti-counterfeit No. behind the product. "XXXXX 2019"
If you find these three "2019" Congrats!! You are chosen by XTAR Santa Claus. Take the picture and show it to your seller to claim the gift. 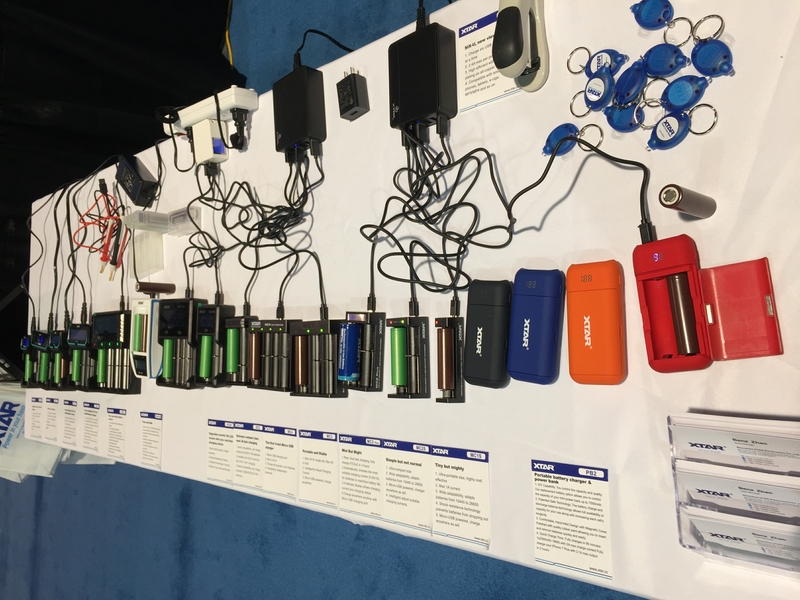 A new battery charger that would handle all of the different types of rechargeable batteries, not including camera ones. Something that would handle Li-ion/IMR/INR/ICR batteries. As well as this versatility, XTAR D4 wasbe able to easily power the charger from a 12v outlet in car. Importantly, it also comes with a 12v adapter, so that was the second requirement covered easily, without resorting to buying a special converter. 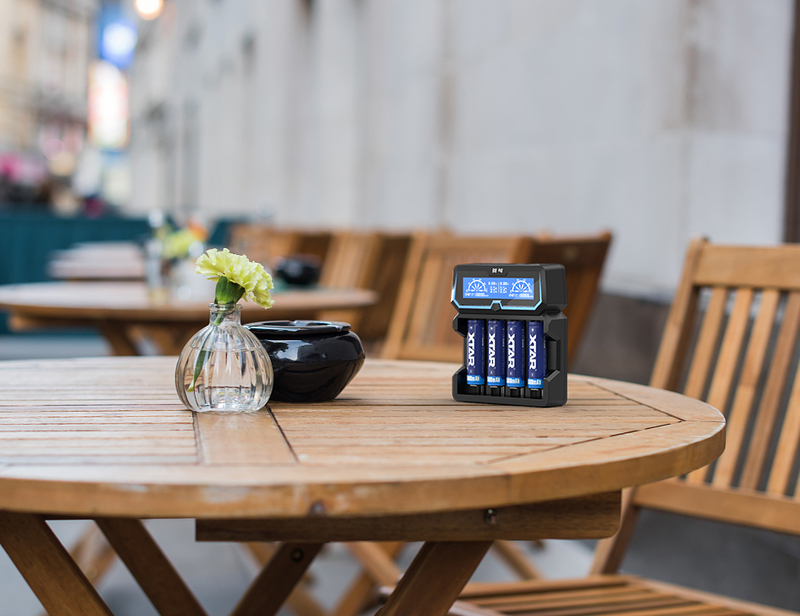 Each of the four battery slots in the D4 is monitored completely independently, so you can charge a mix of batteries at the same time. The charger figures out what kind of battery you have, displays it on the screen and adjusts the charging profile and security shut offs accordingly. The screen also shows you a ton of other information which you can cycle though using a button on he side of the charger. 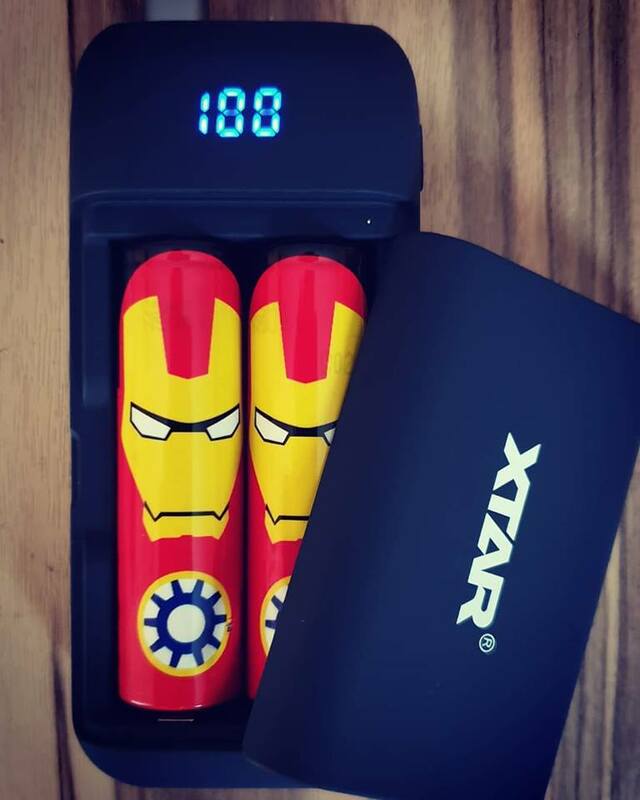 XTAR D4 was independent gauges which showed the charging process of each battery. If you have a big bucket of batteries, it’s great to be able to pop them in and see what levels they are at. If you’re in a hurry, you can weed out the ones that are totally dead and will take too long to charge. Seriously, this is really useful! This feels like the last battery charger you would ever need to buy and $21.99 seems like a totally fair price for this kind of versatility. Highly recommended it, especially if you’re always on the go and needing that ability to use a 12v plug with it as well as the regular wall plug. 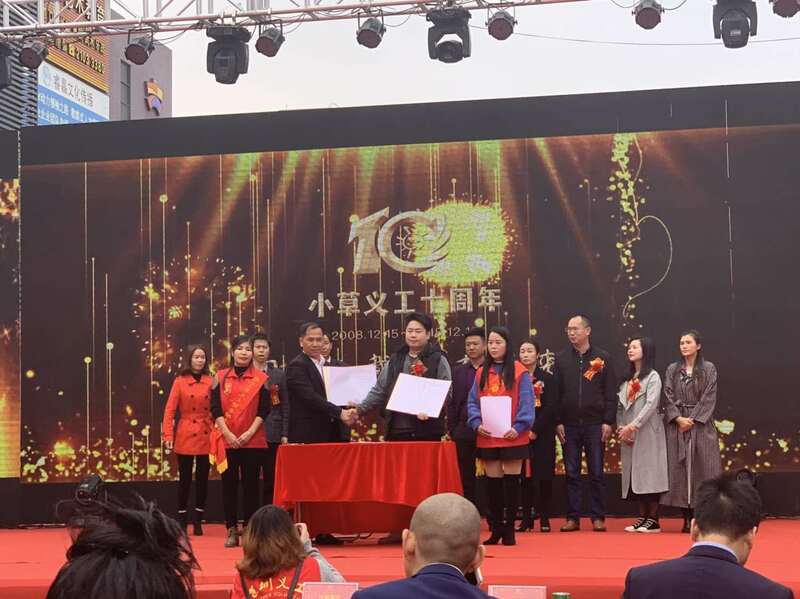 On January 6, 2019, Grass Volunteer Association in Longhua district, Shenzhen, launched a celebration activity of the 10th anniversary of the grass volunteer, to issue charity certificates to private enterprises who participate in the grass volunteers association and social public welfare, including Shenzhen XTAR Electronics Co., Ltd, who won the honorary title of annual charity enterprise in this celebration. It is known that XTARis an international brand company founded for over 12 years. It is committed to the R&D and production of the high-quality intelligent lithium battery charger and LED flashlight and other equipment. With high standards of quality control, XTAR products have obtained all major global certifications, such as CE, UL,FCC, RoHS, etc. Meanwhile, XTAR’s R&Dterm has received more than 70 patents. 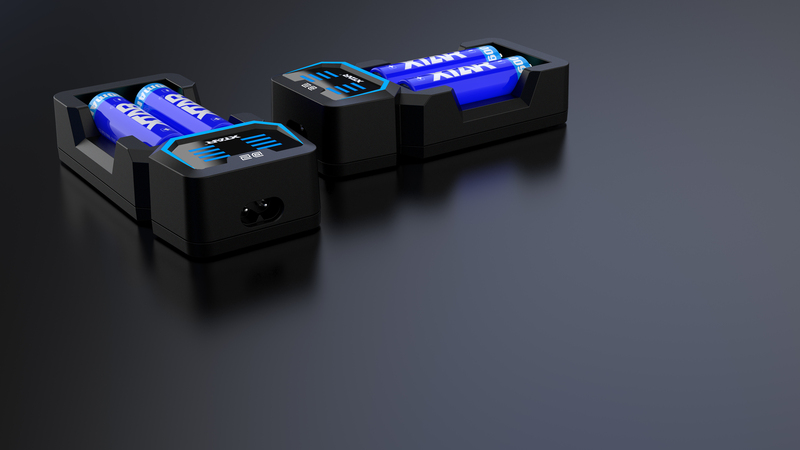 While providing OEM/ODM services to clients with special requirements, XTAR is also building a global one-stop charging solution company, to offer professional charging solution customization service to all clients that need someone to solve their power supply, circuit, battery and charging issues. And “supporting public welfare, passing the love” is the purpose that XTAR gives back to the community and dedicates itself to public welfare. XTAR has also provided a lot of support for helping Grass Volunteer Association. In recent years, XTAR has been actively undertaking corporate social responsibility, giving full play to the advantages of private enterprises in the capital, management and technology. 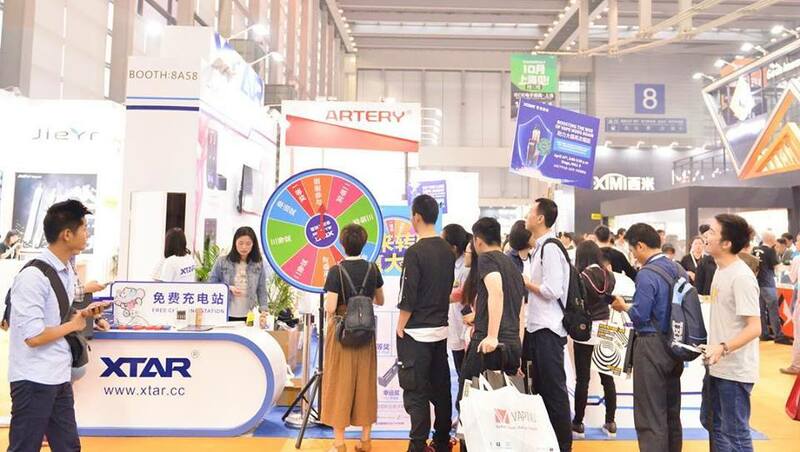 While developing the company’s brand industry, XTAR has made a lot of contributions to social charity undertakings and actively participated in various public welfare activities in Shenzhen. Private enterprises carry out charity activities, which changes the single mode of relying on the government, and plays an important role in expanding public welfare channels and fields, and actively promoting public welfare and charity work. XTAR’s active participation has played a leading and exemplary role for private enterprises and provided strong support for charity work. Solving the problem of public welfare is not a one-man show of an enterprise. It needs to mobilize the whole society. XTAR calls on the whole society to participate. XTAR hopes to do its best to help more groups and regions improve their lives, put the “charity” activities into practice, and make positive contributions to a better society. This XTAR charity was not a one-off, but a small part of its public cause. Since its establishment, XTAR has always taken “fulfilling social responsibility” as its mission. While expanding the service field and improving the service system, XTAR strives to create the right direction with social significance and social value, and spares no effort to give back to the society with the spirit of benevolence on the road of innovative development. As one of the most influential electronic technology brand companies in the world, XTAR pays special attention to the communication of social causes. Since its establishment, XTAR has been actively involved in charity activities and has done a lot of social welfare work. Start from oneself, undertake enterprise society responsibility, set up a good social model. XTAR has been using its strong social responsibility to drive enterprises and individuals around it, and its extensive social influence has enabled more people to devote themselves to charity. It is reported that XTAR has formed a stable public welfare pattern with its continued participation in public welfare undertakings, and also promoted the overall upgrading of its own brand in providing quality services. XTAR has been actively exploring the broader connotation and extension of corporate social responsibility, striving to closely combine corporate development with social public welfare undertakings, so that social responsibility can continue to flow in the blood of corporate development. Uphold and adhere to the heart of benevolence, and actively fulfill social responsibility. The person in charge of XTAR brand said that it will continuously sow the seeds of love in the innovation and development, come to the society from the society, make a greater contribution to help more people, let enterprises and public welfare peers, let the love forever! Heartsdelight and SnapDragon NY like this. Congratulations on a very honorable reward! 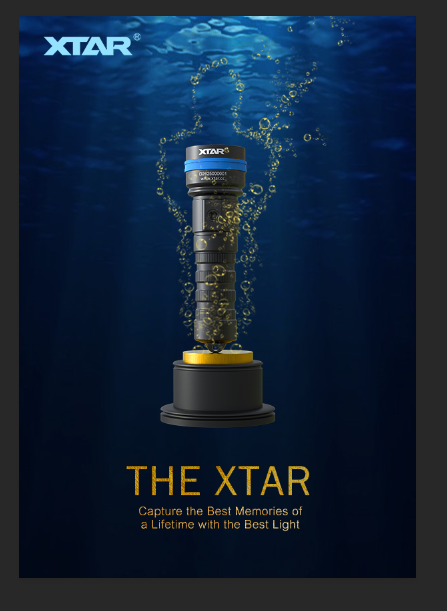 XTAR is one of the most recognized e-ciga and lighting accessories brands. It is famed for offering durable products that are also convenient to use, which guarantees buyers excellent value for money. Middle East Vape Show largest Vape Event in the Middle-Eastern Region, also it is the 1st and Largest Vape Expo in Middle East, right in the heart of Bahrain the fastest-growing country in GCC, easy to access with a lot of offers from World-Class Vape Industry Player. 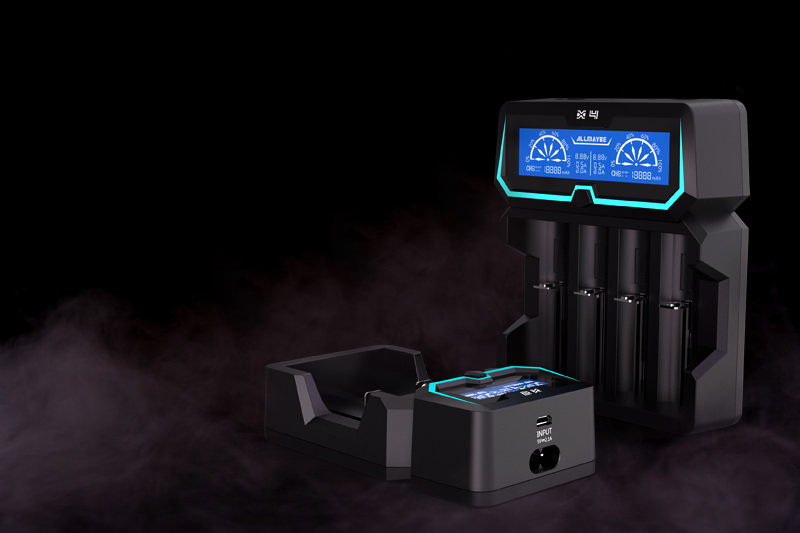 XTAR released a series of the new type of battery chargers at the end of 2018, like fast charging series, MC series etc. Also it’s the first time for XTAR to step in Bahrain, let’s see what they got for us. 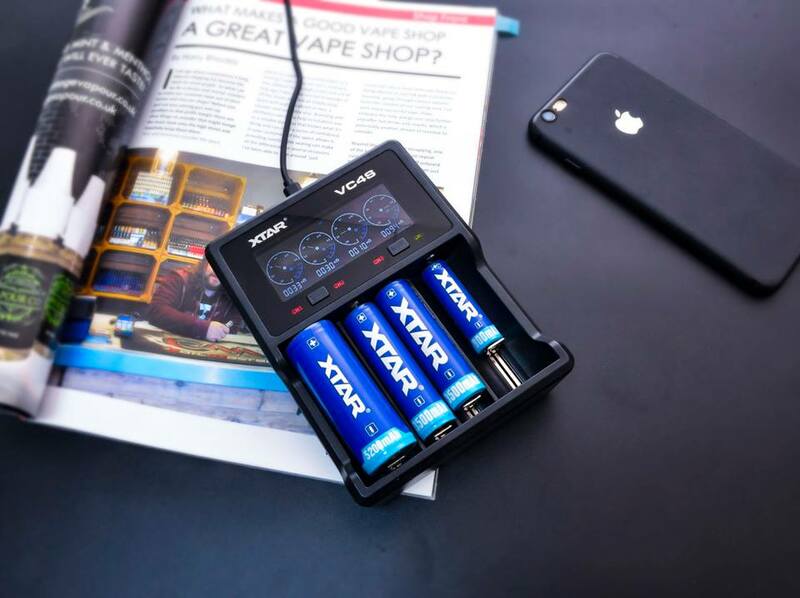 “Born for the vapors” is the slogan of XTAR AC Power charger. X4 is a fast charging LCD Li-ion battery charger that with great compatibility, apply to 3.6v/3.7v 14500~26650 Li-ion battery and 1.2V Ni-MH/Ni-CD. Max 2A charge current, only takes it 1.5h to fully charge two 18650 2500mAh batteries. 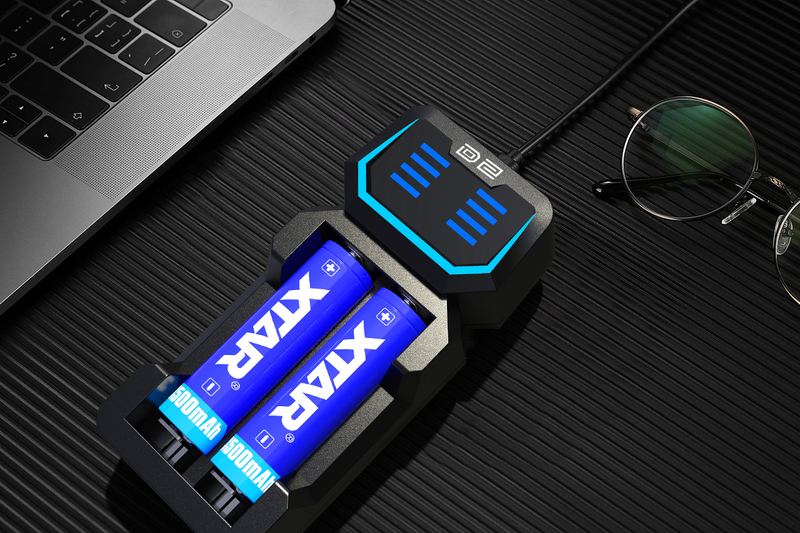 The biggest found in XTAR is their upcoming new charger VC4S, it’s the charger that could be running 3 different functions—charge, capacity testing and storage. Besides, it can automatically give accurate charge current according to batteries’ resistance, definitely a wannabe charger for vape enthusiasts!! Relying on the mature R&D department and independent production line, XTAR expands its industrial distribution. 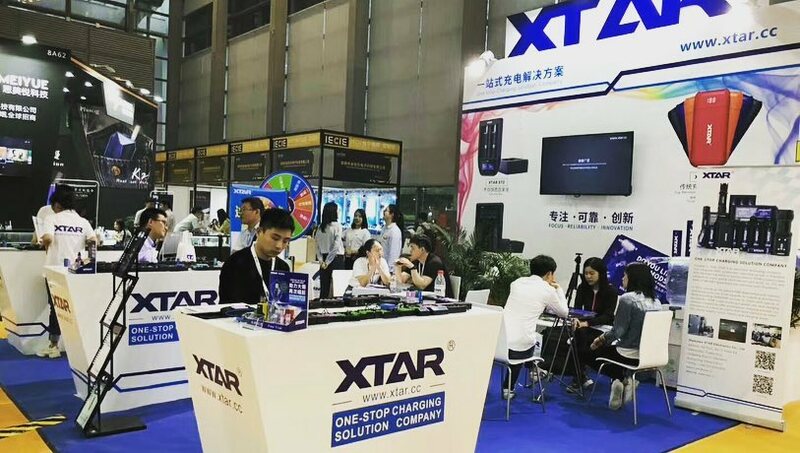 While providing OEM/ODM services to clients with special requirements, XTAR is also building a global one-stop charging solution company, for offering professional charging solution customization service to all clients who need to solve their power supply, circuit, battery and charging issues. On the occasion of the resignation of the old and the new, Shenzhen XTAR Electronics Co., Ltd express sincere gratitude for the trust and support given by the customers for a long time! 2018 is the year that XTAR goes through a difficult period/2018 is a year that XTAR has experienced and gained a lot. 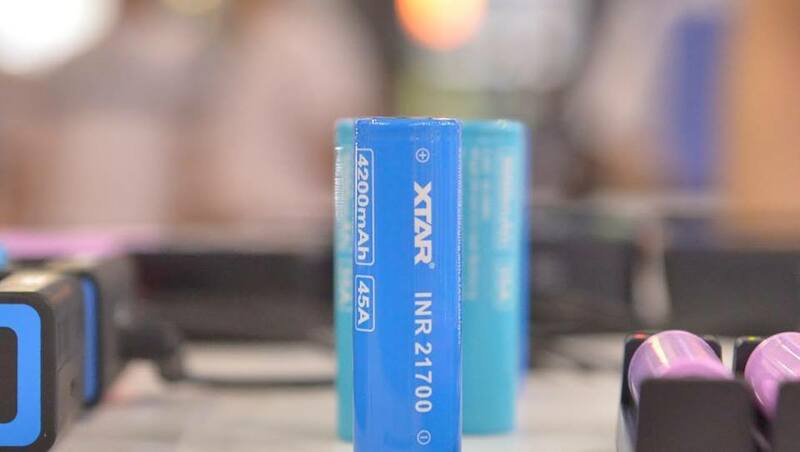 XTAR has been specializing in the development and manufacture of high-quality Li-ion batteries, smart chargers, and LED flashlights for over 12 years and insisted on delivering focus, reliability and innovation to every user. XTAR is committed to providing safe, quality, reliable products and service. At the end of 2018, the company proposed "One-stop Charging Solution" based on higher strategic goals. Along the way, thank you for your support and trust, thank you for growing up with XTAR, thank you for your support of XTAR's products, and was not give up with XTAR in the harsh market environment in 2018. All your support keeps XTAR’s sales going steadily increasing. 2019 is a year full of hope. Relying on the mature R&D department and independent production line, XTAR expands its industrial distribution. While providing OEM/ODM services to clients with special requirements, XTAR is also building a global one-stop charging solution company, to offer professional charging solution customization service to all clients that need someone to solve their power supply, circuit, battery and charging issues, which means when assisting other companies to launch product projects, design a charging solution that suit for the company’s products, inject core technological innovation strength into equipment that needs to use charging technologies such as power supply, battery, charger, circuit, etc. We still need you to continue to support our brand and products. Thank you for choosing XTAR among the thousands of brand. It is you that made us more confident in XTAR. It is you that provide the feedback market information in a timely manner, which makes XTAR products successfully win the market in the process of upgrading. We are deeply honored to be able to know each other with our distinguished customers and even to form a partnership to achieve mutual benefit and common development. In the future, we will continue to forge ahead, innovate, and provide our customers with better brand products, better reputation and more considerate services. With best wishes for a happy Spring Festival and wishing you many future successes. Happy New Year! Health & Prosperity! 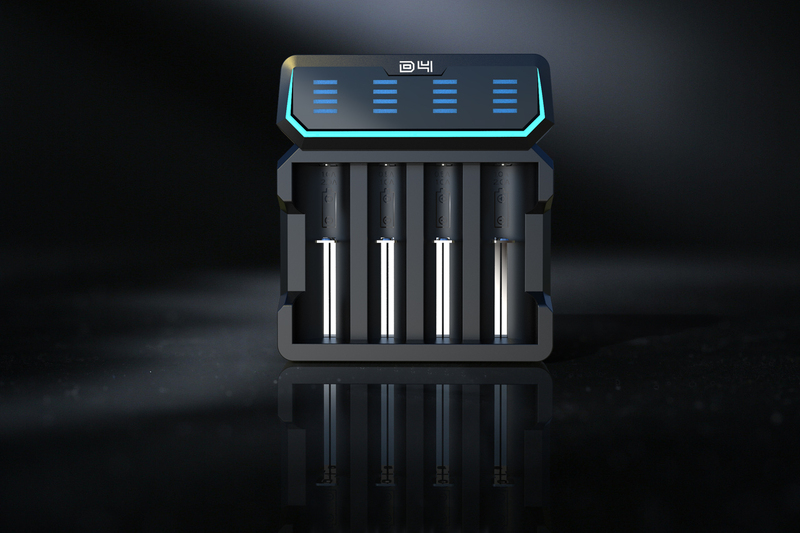 Something big is coming: XTAR VC4S will launch soon, which choose the optimal charging strategy intelligently. A battery charger with the latest algorithm chip to intelligently select the best charging strategy is coming soon. XTAR will launch VC series VC4S in the first half of 2019. The product, which costs about $30, is currently in mass production and is expected to produce 100,000 units. This will be released simultaneously in China and overseas markets. The biggest feature of this product is intelligence, which helps users choose the optimal charging strategy. The VC4S is a powerful battery charger compatible with cylindrical batteries longer than 30mm and less than 75mm. XTAR VC4S can be charged on the USB-A to microUSB cable without the need for an additional power adapter. The built-in QC3.0 input protocol allows the charger to achieve a maximum single-slot 3A fast charge when using the QC3.0 adapter. The product has three modes of charging, capacitance and storage. When the battery is inserted, it can intelligently identify whether the battery is a lithium-ion battery or a nickel-hydrogen nickel-chromium battery, without requiring the user to manually select the battery type. In addition, VC4S can automatically detect the internal resistance of the inserted battery, integrate the number of batteries, the maximum power of the input power, and the type of battery through the detected internal resistance, and then intelligently select an optimal charging strategy. This will not only gives battery fast charging, but also prolong battery life. We always hope that the products can provide a convenient experience to all the users and meet the needs of the society. Therefore, it has always attached importance to the research and development of technology and product innovation. At present, XTAR has more than 70 patented technologies. Relying on the mature R&D department and independent production line, XTAR expands its industrial distribution and providing OEM/ODM services to clients with special requirements. With all of the achievements, XTAR can meet the requirements of becoming a National High-tech Enterprise easily and at the end of 2016, XTAR achieved the award of the National High-tech Enterprise by Ministry of Science and Technology (MOST), Financial Dept., and State Administration of Taxation (SAT) together with the first batch of the companies included DJI, TCL, SF technology in Shenzhen. 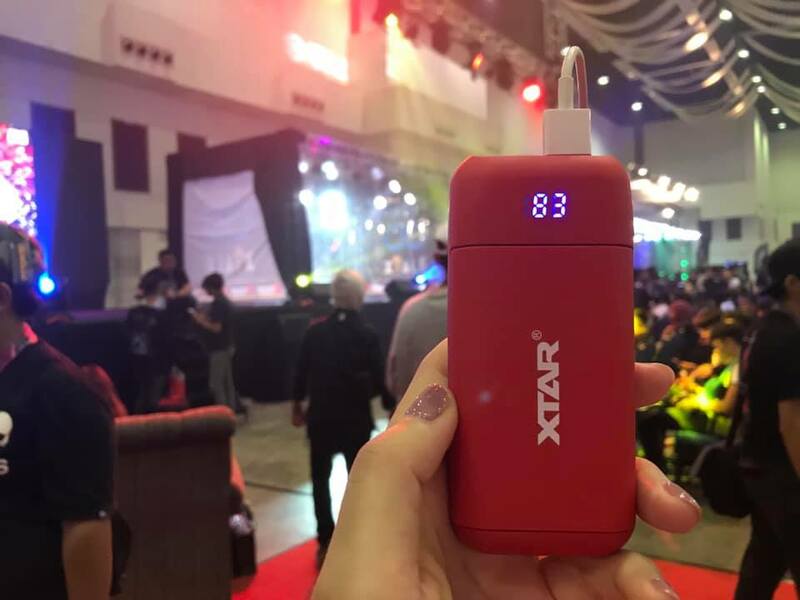 XTAR's previous products are mainly for e-cigarettes and diving flashlight users, but now we hopes that the new products can reach a wider audience. We hopes that VC4S can become a milestone in its class and can become a time-varying product with high precision and intelligent performance. Falling on the 15th day of Chinese New Year, the Lantern Festival marks the end of the Spring Festival. Today is also the Night of the Full Moon Wishing everyone a Happy Lantern Festival and may this Light continue to illuminate whatever path you’re on. 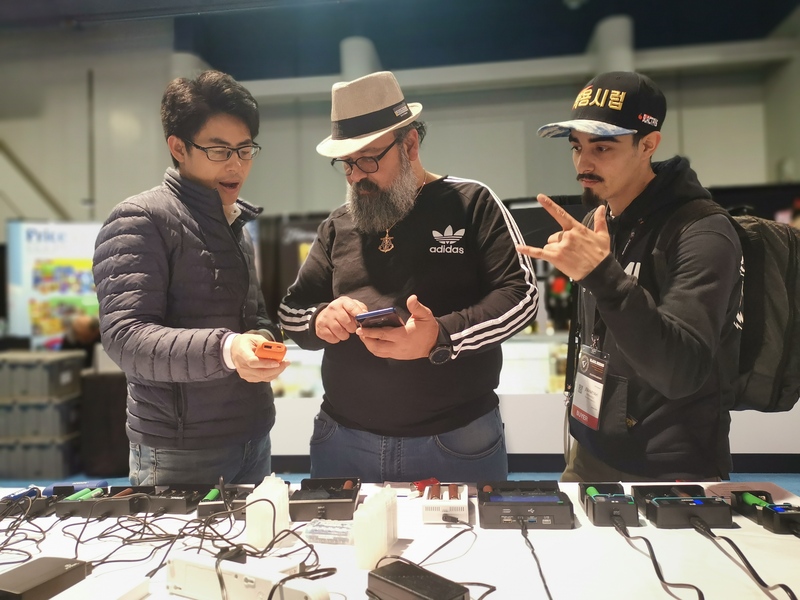 TPE 2019 was bringing together top brands and buyers from the premium tobacco, tobacco-related, vapor and alternative industries on Feb. 11-13 at the Las Vegas Convention Center. Before the show began, we have a short interview with XTAR. 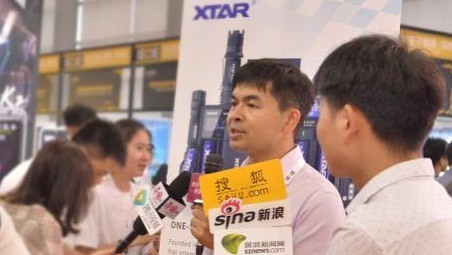 “As a reliable battery charger company, there is no reason for us to miss out such a big party, we have something big for you on the show” Said Benz, sale manager of XTAR. The XTAR VC4S will be launched in the first half of 2019. The item, which costs about $30, is currently in mass production and is expected to produce 100,000 units. This will be released simultaneously in China and overseas markets. From my short experience of using this charger, is a powerful battery charger compatible with cylindrical batteries longer than 30mm and less than 75mm, which is the similar size of VC4. It also can be charged on the USB-A to micro-USB cable without the need for an additional power adapter. The built-in QC3.0 input protocol allows the charger to achieve a maximum single-slot 3A fast charge when using the QC3.0 adapter and the cable. 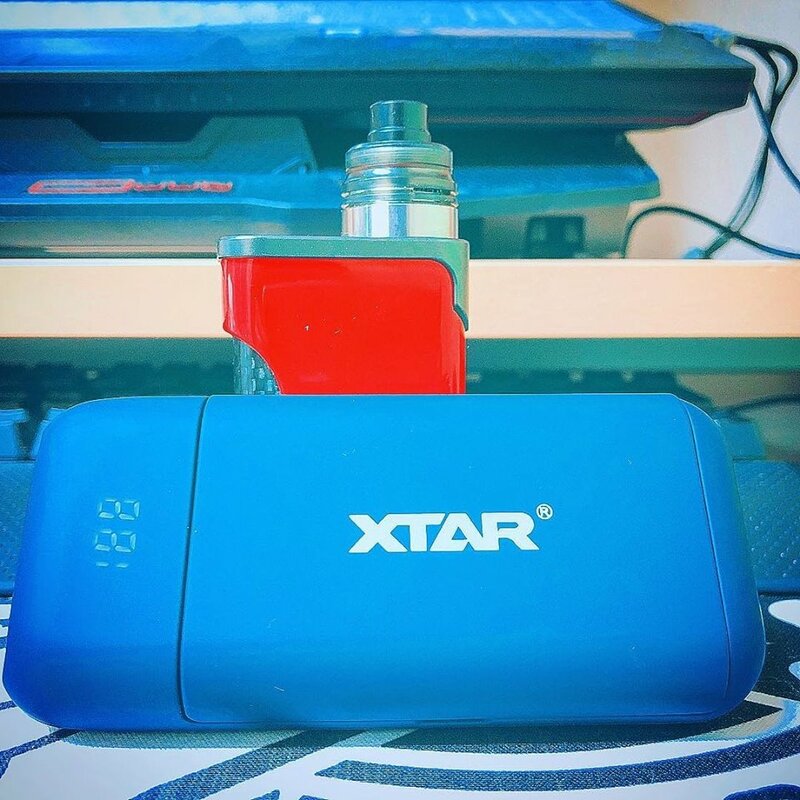 XTAR D2 battery charger is the simple and fast charger which make for vapers, and with unique owl-like UI design. Most batteries we discarded for their no longer been charged are not died. Actually, it is because that their voltage are too low. And XTAR chargers can revive and charger these low valtage batteries which other chargers can’t charge. Airplanes need smoothly accelerate (or decelerate) to take off(or land), so does the battery. Current buffering technology keeps batteries from violent currents. The charger can keep the temperature impressively low during fast charging with 2A. Human science and technology has been moving forward, XTAR also adhering to the continuous innovation, bring convenience to the life of users. XTAR VC2S charger is an intelligent charger. It is equip with colorful VA LCD screen tells you real-time charging status! And the micro USB input port available with all 5V USB power. You can charger batteries anywhere and anytime. Share one adapter with your phone, cost-effective and eco-friendly. Charger USB devices and the batteries at the same time. Or unplug the power supply, insert Li-ion battery in the slot to charge USB device as a power bank. Both slots can be used for charging devices. But it will discharge the battery in left slot preferentially by defult. The best equipment for vape. "World Wildlife Day", Protect the Earth. 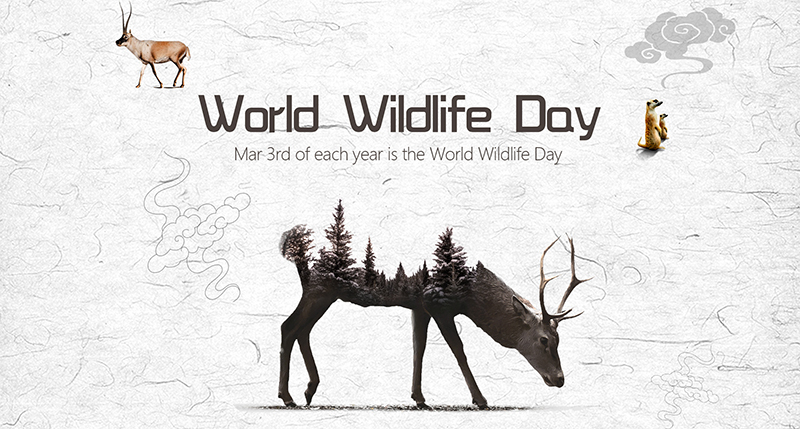 "World Wildlife Day" is a festival decided by the UN General Assembly on Dec 20, 2013 to raise awareness and protection of the world's wildlife. On Mar 3, 2019, we welcomed the 6th World Wildlife Day. On this day, we praised the beauty and diversity of wildlife, and also raised public awareness and made the public more aware of the protection of wildlife. Earth is not only the home of mankind, but also the home of many animals and plants. According to analysis, at least one plant disappears from the earth every day. Because of human destruction, indiscriminate logging, rare animals and plants are less and less every day. One day we can only see them in the history books. How many are for the sake of self-sufficiency, and how many people are to satisfy their vanity. You don't need to put ivory in a prominent position at home to reflect your noble temperament, and you don't need coral to set off your uniqueness. You don't need one or two precious animal specimens to stay in your home. Human selfishness and desire are the chief culprit. These precious animals and plants can only reflect their value in nature. They are the products of nature, the evidence for the peaceful coexistence of mankind and nature, and the witness of the development of human civilization. XTAR always stands on the side that protects the earth. Don't let vanity overcome your kindness. May one day, these lovely little creatures are no longer the endangered animals and plants. The like is to watch them live, not to wear or to put them at home. Max 2A for one slot, charge 18650 2500mAh battery within 1.5hrs. Most batteries we discarded for their no longer been charged are not died. Actually, it is because that their voltage are too low. And XTAR chargers can revive and charge these low voltage batteries which other chargers can't charge. Airplanes need smoothly accelerate (or decelerate to take off (or land, so does the battery. Current Buffering Technology keeps batteries from violent currents. Keep the temperature impressively low during fast charging with 2A. People need a healthy diet, so does the battery. TC/CC/CV three-stage charging method like the three courses of a meal. First we have some soup or salad as an appetizer(TC, Then eat the main course to get full(CC, finally we have some dessert to get real full and happy (CV. Then the battery can work for you enduringly. XTAR X2 innovative LCD screen display that can show all information what you want (include battery power percentage, battery voltage, charger current, battery charged capacuty) By knowing the charging capacity, you can know the real status of your batteries. Full charges a 18650 2500mAh battery in 1.5hrs real 2A charger current. You can use the power cord to power the charger via AV input port when you are indoors; when you are outdoors or on journey, you can use the Micro USB port. Shares one adapter with your phone, cost-effective and eco-friendly. Most batteries we discarded are over-discharged batteries, and 0V Activation Function brings them back to life. Originally invented by ShenZhen XTAR Electronics Co., Ltd, this technology has been flollowed-up by other companies. We are extremely honored to improve the overall level of the industry. This charger regulates the voltage and current delivered to the batteries in three automatic stages, to ensure batteries receive optimum charging with minimal wear and tear. When start charging the batteries, this charger will increase the output current slowly to protect the batteries. Airplanes need smoothly accelerate (or decelerate) to take off (or land), so does the battery. Current Buffering Technology keeps batteries from violent currents. Keep the temperature impressively low during fast charging with 2A. People need a healthy diet, so does the battery. TC/CC/CV three-stage charging method like the three courses of a meal. First we have some soup or salad as an appetizer(TC), Then eat the main course to get full(CC), finally we have some dessert to get real full and happy (CV). Then the battery can work for you enduringly. Genuine LG Cell, Original cell manufactured by LG with purple shell. 25A Max Continious Discharge Current. Always resdy for big clouds. Work with e-cigarette in a good performance. 3000mAh big capacity provides a longer vaping time. 15A max continuing discharge currrent brings you more fun in vaping. X4 have a great campatibility that can apply to 3.6V/3.7V Li-ion/IMR/INR/ICR: 14500 14650 16340 17335 17500 17670 18350 18490 18500 18600 18700 20700 21700 22650 25500 26650, 1.2V Ni-MH/Ni-CD: AAAA/AAA/AA/SC/C. Note: Can't charge protected 20700/21700 batteries. It's equip with innovative LCD screen display that can shows all information you want (battery power percentage, battery voltage, charge current, battery charged capacity) by knowing the charging capacity, you can know the real status of your batteries. 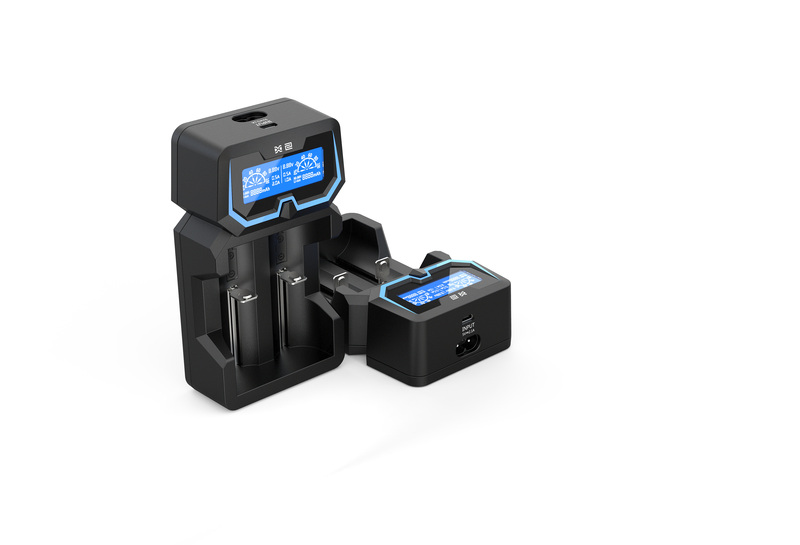 Fully charges two 18650 2500mAh batteries in 1.5hrs with 2 slots of 2A charge current. When X4 charging the batteries, it will increase the output current slowly to protect the batteries. This charger can be use as a power bank, which equip with 5V USB output supplies power for your phones, cameras, pads GPS and other devices when you are outdoors. And you can use the power cord to power the charger via AC input port when you are indoors; when you are outdoors or on journey, you can use the Micro USB port. Shares one adapter with your phone, coet-effective and eco-friendly. 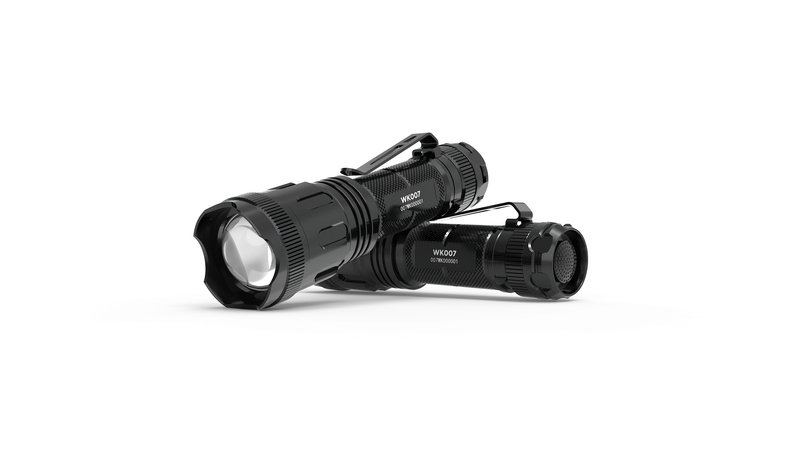 XTAR MOON RC2 have a elegant fashion design, this light is portable, light weight, tiny but mighty. It can be use as a running or hogging at night. Then the tight clip easy to fix on clothing, bags, tents, etc. And it ues samsung 5630 LED which color rending index 80+ (Acculate color rending, batter recognition of surrounding), longevity, antistatic. 5 lighting brightness options. meet your different needs. Moon is rechargeable with built-in high quality 2200mAh Li-ion battery, so it can running long time. Switch on the Moonlight mode. The glimmering light gives you a sense of security, which helps you have a goog sleep in the wild or at home. Press the button for 1.5s to swith on the Strobe Mode. You can get attention and help immediatrly if you are lost or hurt in the darkness. And this light equip with micro usb charging port and usb cable(included in the package), MOON is compatible with any USB power in-cluding USB wall adaptor, cell phone charger, solor panel, PC usb, etc. So you can charge anywhere. It can be used as indoor light or outdoor light. International Consumer Rights Day is scheduled for March 15 of each year, first determined by the International Consumers Union in 1983, with the aim of expanding the promotion of consumer rights protection, making it a worldwide focus and promoting countries. Cooperation and exchanges with regional consumer organizations to better protect consumer rights on an international scale. In 1898, the world's first consumer organization was established in the United States. In 1936, the nation's consumer alliance was established. After the Second World War, various organizations that reflected the interests and demands of consumers appeared in some developed countries. On this basis, in 1960, the International Consumers Union was announced. Since then, consumer movements have become more active, and many developing countries have established consumer organizations to make consumer movement a global social phenomenon. At present, more than 300 consumer organizations in more than 90 countries around the world are carrying out activities. Founded in 2006, XTAR is an electronic technology company that integrates R&D, production, sales and service in China Shenzhen. XTAR has been specializing in the development and manufacture of high quality Li-ion batteries, smart chargers, and LED flashlights for over 12 years. With the high standards of quality control, XTAR products have achieved all major global certifications such as CE, UL, FCC and RoHS. XTAR R&D department has obtained over 70 patents. During the process of optimizing product mix and production line, XTAR has established a long-term relationship with distributors, purchasers, and manufacturers from various industries like e-cigarette, diving and outdoor sports, tactical operations, law enforcements, medical, digital products, gimbal stabilizers and industrial equipment, etc. Since 2006, XTAR has been providing safe, quality, reliable products and dependable services for over 10 years. We honor China’s Got Quality and insist on delivering safety, reliability, and power to your hands. In order to realize and protect the rights of consumers, XTAR products are guaranteed for 2 years, which is XTAR's self-confidence and responsibility to consumers. 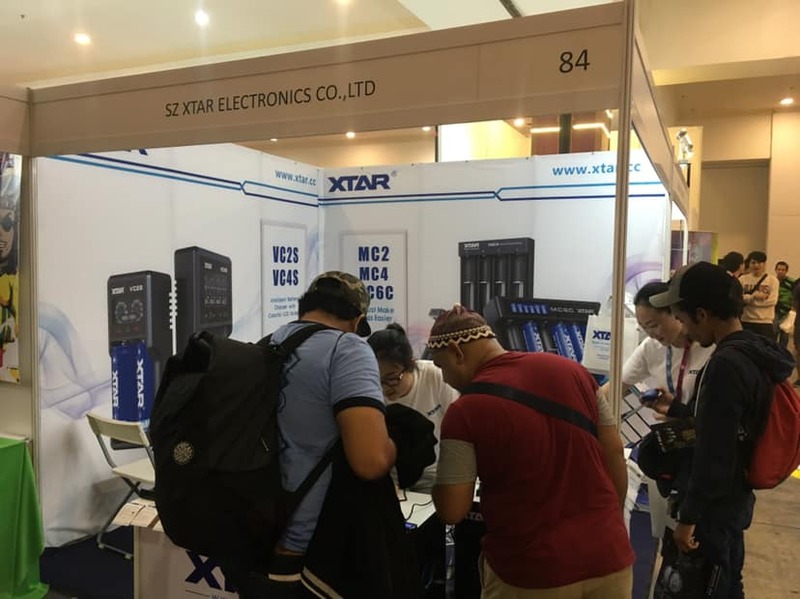 In response to the needs of consumers, XTAR recently developed a new product, which is an upgraded charger of VC4S, which is currently popular among consumers. 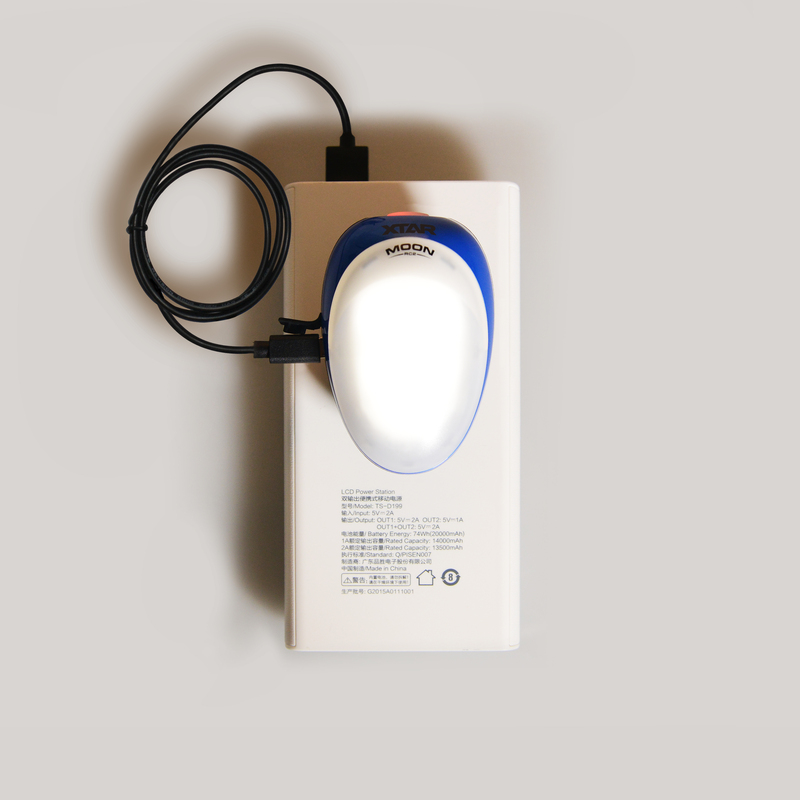 This product is equipped with all the high performance features of the VC4 charger. But the most direct change in appearance is the upgrade of the input power interface. The VC4 charger uses DC port, while the VC4S charger uses Micro USB input interface and is compatible with the QC3.0 fast-charging protocol. These two features have changed so that VC4S charger can not only better adapt to the charging environment, but also fill the battery more quickly. In addition, the VC4S charger LCD display uses a more compact data display dial. When you charge the battery, the monitored data is simpler and more detailed, and the operation is easier and less worry-free. XTAR has been adhering to the philosophy of starting from customers, helping customers to solve difficulties and serving our customers well for 13 years. 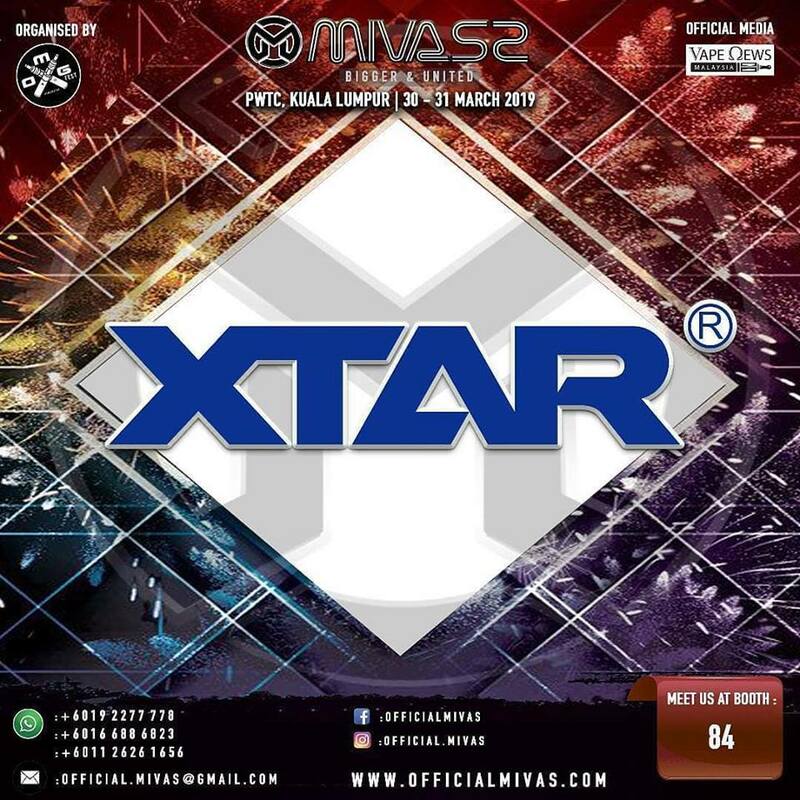 Are you READY guys for MIVAS 2 - BIGGER & UNITED on 30-31 MARCH 2019 at PWTC, KUALA LUMPUR, MALAYSIA ?? This exhibition is the largest professional electronic cigarette show in Malaysia. Is a mixed B2B e-cigarette conference. Exhibitors are mainly from the United States, Europe, China, Malaysia, Indonesia and other countries and regions. 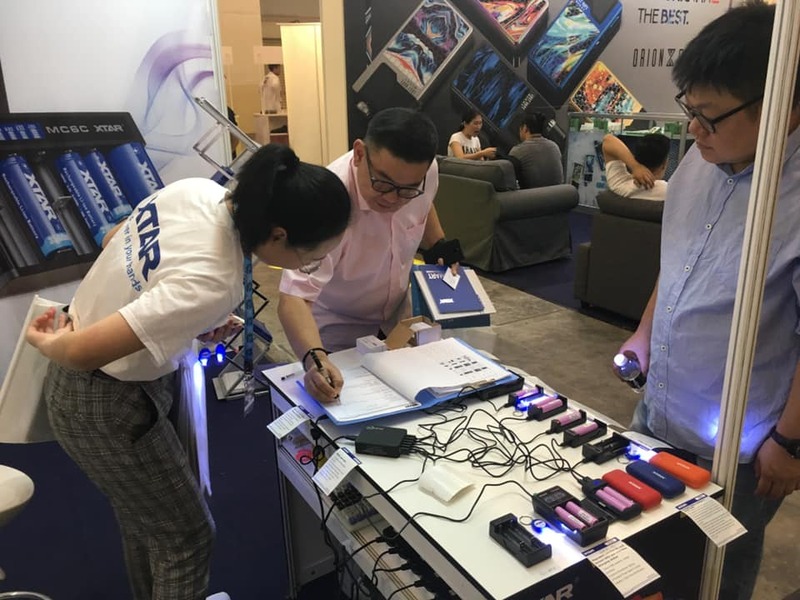 XTAR mainly exhibited products such as VC2S charger and VC4S charger. 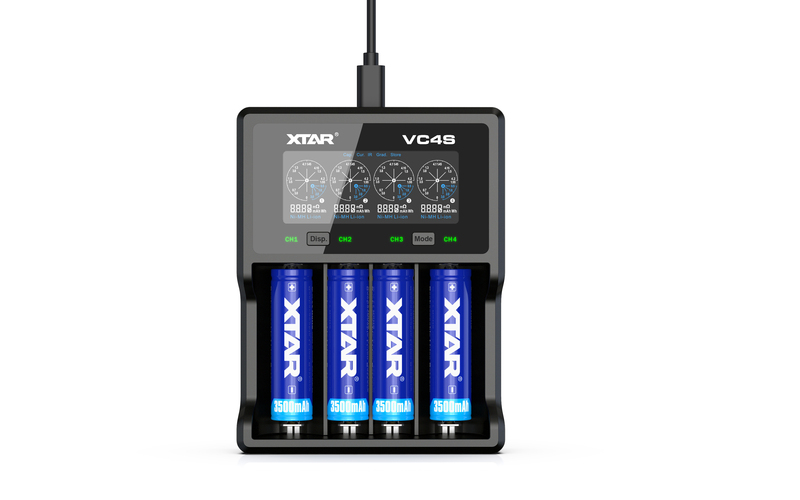 The VC4S charger is XTAR 2019's new charger product, which is an updated version of the popular VC4. It comes with all the high performance features of the VC4. However, the most direct change in appearance can be seen by upgrading the input power interface. VC4 use DC input port, while this VC4S use Micro USB input port and is compatible with QC3.0 fast-charging protocol. The VC4S not only adapts to a wider range of charging environments, but also helps you refill your battery more quickly. In addition, VC4S LCD display screen uses more concise and clear data display dial. When charging the battery, the monitored data is more simple and detailed, which is easier to operate. Of course, XTAR also has many excellent and popular chargers, such as PB2, VC2,VC4 and AC power series X2,X4,D2,D4. Welcome to learn more about XTAR's products. 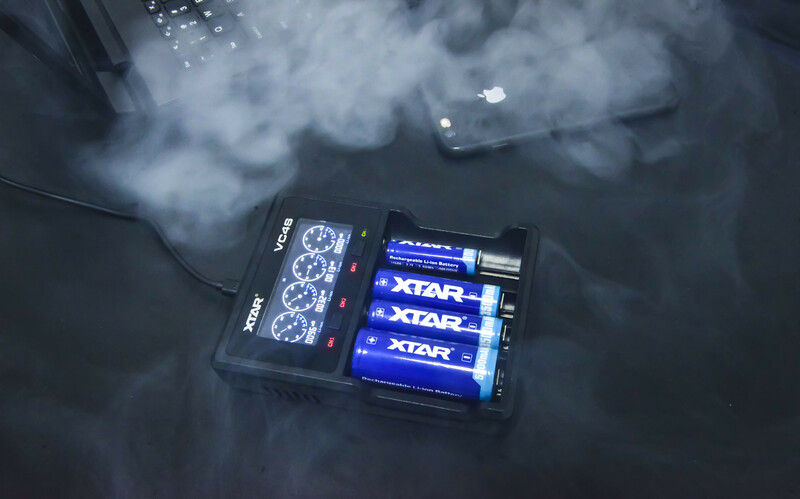 XTAR VC4S battery charger for vape. XTAR PB2 Handheld Portable ChargerUsable as a charger or power bank.Smartphones, MP3Player or battery charger with built-in recharge batteries on the go. XTAR VC4S charger is coming soon! This upgrade charger will appear in the Malaysian Electronic Cigarette Exhibition on March 30th. 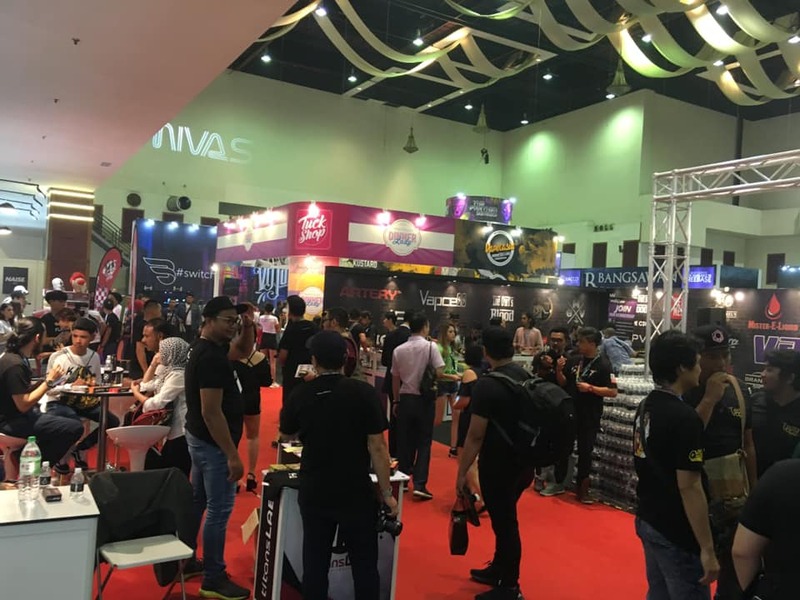 The Malaysia International Vape Show hosted by the Malaysia Vape Community will be held at the Kuala Lumpur convention center from Mar 30th to 31st, 2019. 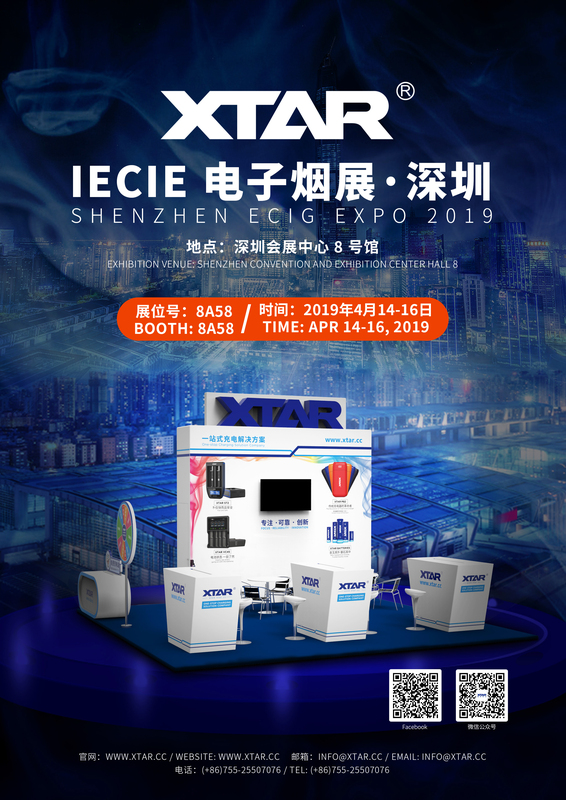 And XTAR is going to attend this exhibition as a battery charger and flashlight brand trusted by international customers. 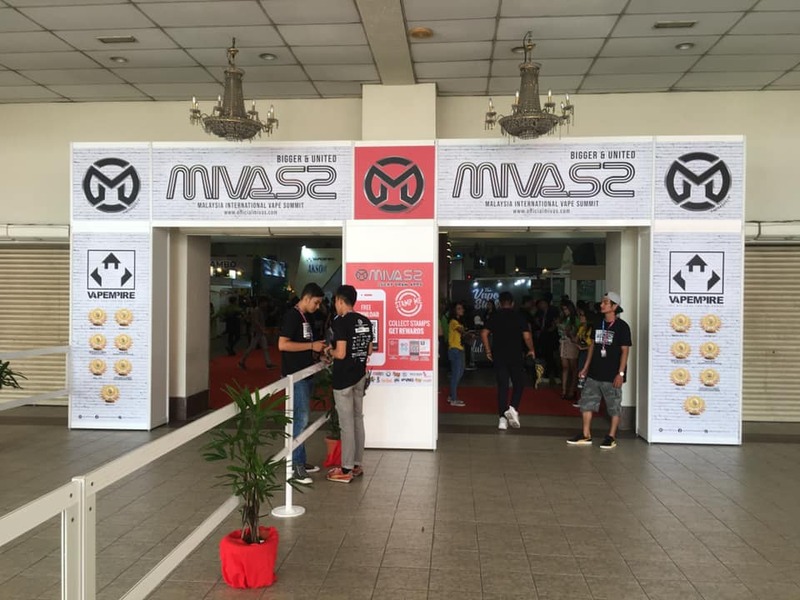 This exhibition is the largest vape show in Malaysia. 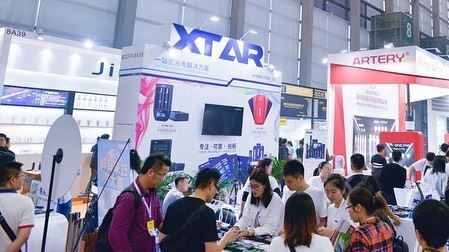 It is a B2B exhibition that brings together famous vape manufacturers and their peripheral products (smoke oil, charger, battery) from all over the world. Exhibitors are mainly from the United States, Europe, China, Malaysia, Indonesia and other countries and regions. E-cigarettes, as one of the eight new products that change the world, maybe more than 99% less harmful than ordinary cigarettes. It not only has a similar experience with ordinary cigarettes but also has a better economy. E-cigarettes are regarded as a tobacco substitute in Malaysia, and the number of consumers is increasing. High-power vape is especially popular among young people. However, the safety of e-cigarettes has also been a concern, especially in the security problems that have emerged in recent years, which kept people away. 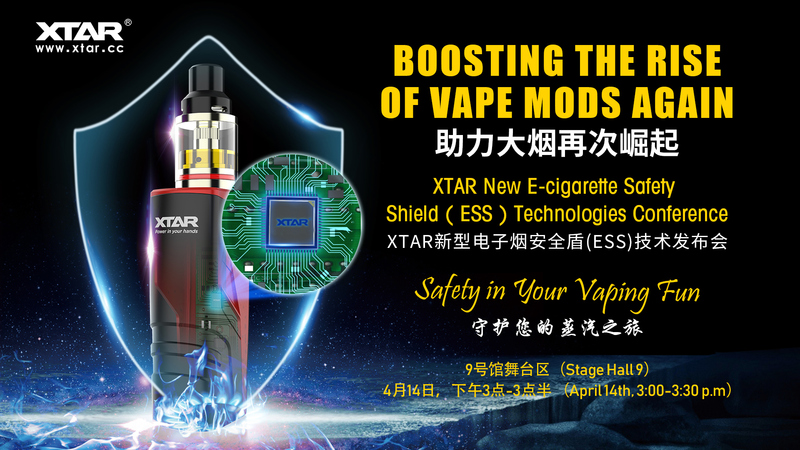 XTAR recently applied for a patented technology “Vape Safety Detection Technology” This technology applies the internal resistance detection technology of the battery to the vaping and detects whether the battery in the vape is safe when used. Battery internal resistance detection technology is a technology that includes detect battery temperature, internal resistance, power. XTAR has great success in the field of battery safety and battery safe charging. 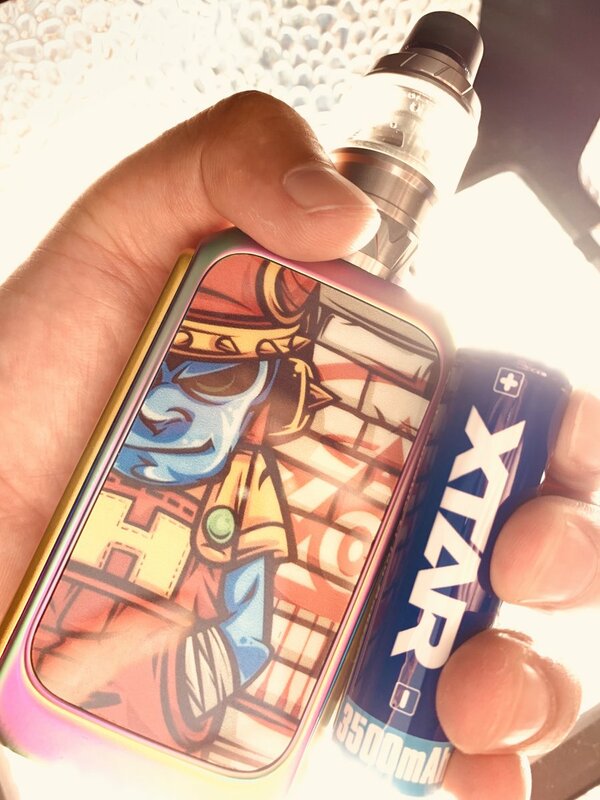 XTAR hopes to cooperate with more vape brands to make this technology more widely used, make your vaping safer. XTAR is the first company to propose protection in the battery, and this technology is now widely used. At the same time XTAR is also the leader in battery charger development. XTAR's main chargers are the MC6C and VC4S, which were developed in the first half of this year. These two products are upgraded versions of the MC6 and VC4 chargers that are popular among users. 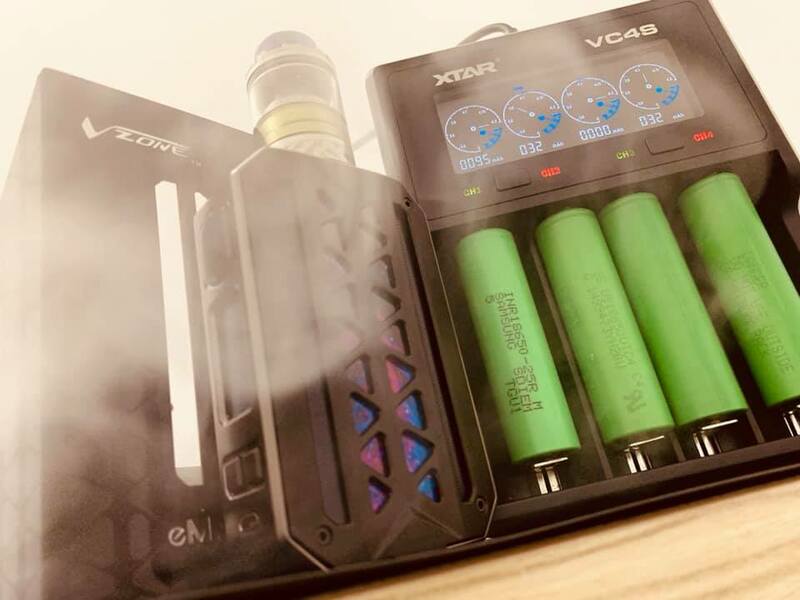 XTAR VC4S charger is going to appear at the Malaysia International Vape Exhibition. Share this photo with you. Today’s set XTAR PB2 battery charger!! 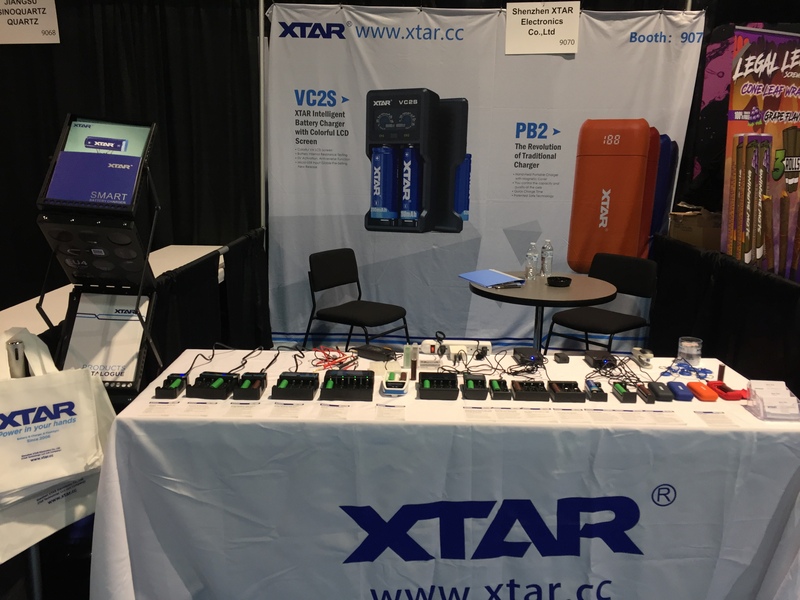 VC2S is one of xtar's most popular chargers and will be on display at this show. Two Days Countdown to the MIVAS!! How can "1" be greater than "6"? Visit our booth to find out more!!! 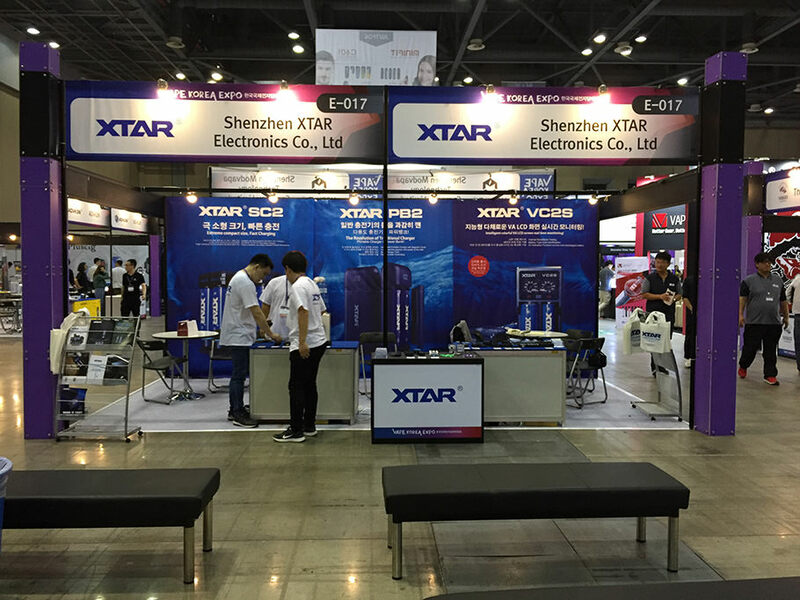 The second day at the MIVAS 2 vape exhibition, Welcome to XTAR Booth#84. Theboss and Bigbob2322 like this. We are excited to announce that XTAR will be at IECIE 2019!!! It's reported that, in addition to lauching the ESS technologies conference, XTAR, as a leading enterprise in the field of lithium battery charger, will also reach deep strategic cooperation with NPE/Molicel, a dominant enterprise in the field of lithium battery, to achieve strong alliance. 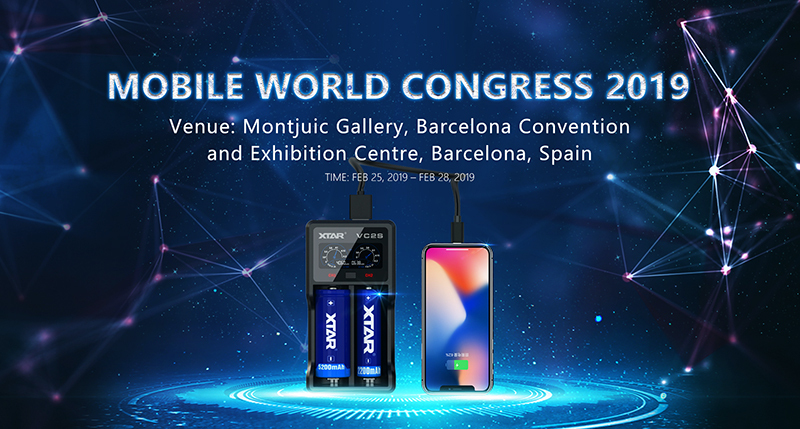 Moreover, XTAR will launch three new batteries 18650 2600mAh, 20700 3000mAh and 21700 4200mAh that use NPE/Molicel lithium battery cells at the exhibition. Just only 3 days to Expo Vape Greenville. Welcome everyone to the exhibition to learn more about XTAR products and information. Two Days Countdown!! Welcome the Woodruff Rd. in Greenville, SC, USA visiting us in 2019 Expo VAPE Greenville.